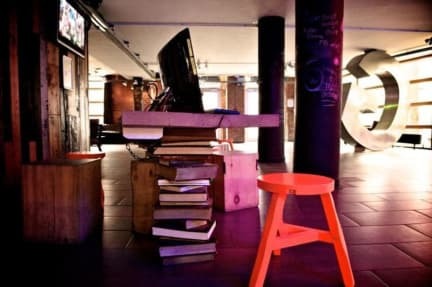 The recently-opened Generator Hostel Dublin is a 'very stylish hostel' which our reviewers frequently compare favourably to a hotel, with one Hostelworld user saying it's 'like a fine hotel for a college travellers', while another says it feels like 'a nice hotel for the price of a hostel'. This spacious and modern boutique-style hostel is 'comfortable, clean and beautiful' according to our guests. There's an on-site bar and café as well as 'excellent' keycard security. Very modern, clean hostel with plenty of amenities and easy access. 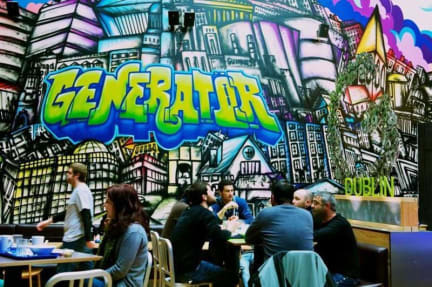 I'd recommend Generator but it feels more like a hotel than a hostel, so don't expect a ton of local culture. Spend your night on the town and come back for a clean place to sleep! Great location. Welcoming staff. Great entertainment in the evening, perfect for a drink before a gig. Probably the nicest hostel Ive stayed in. Rooms are nice and there is good community in the dorms. 15-20 min walk to trinity college. Activities are available every night and lots of food near by. Down side: Laundry and breakfast are expensive for what you get, no comunal fridge. Overall enjoyed my stay, would book again. All in all a pleasant stay, would recommend! Honestly it wasn't terrible, but none of the common areas are quiet, always bar type music playing morning to night. Wasn't my vibe, but if you're looking for a young, party hostel, cool. It's near the Jameson factory, but apart from that it's a bit of a walk from the other touristy things and restaurants I wanted to check out. The bed was comfy and clean and the rooms with an ensuite and 6 beds are nice and private. I wasn't a fan of the 8-person mixed dorm with no ensuite. The hostel itself was pretty clean and had decent sized rooms. The staff were genuinely the most unfriendly staff I’ve ever encountered in hospitality. Seriously so unprofessional, so unhelpful and borderline rude! There was a school excursion on while we were there - absolute nightmare having teenagers slamming doors from early hours! !